Viknesh Vijayenthiran February 7, 2019 Comment Now! 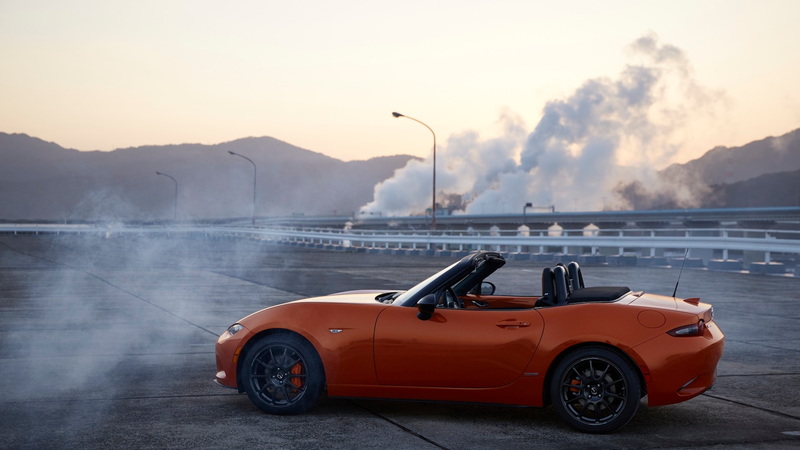 This year, the beloved Mazda MX-5 Miata turns 30, and to mark the Japanese roadster's birthday Mazda has introduced the 2019 MX-5 Miata 30th Anniversary Edition. 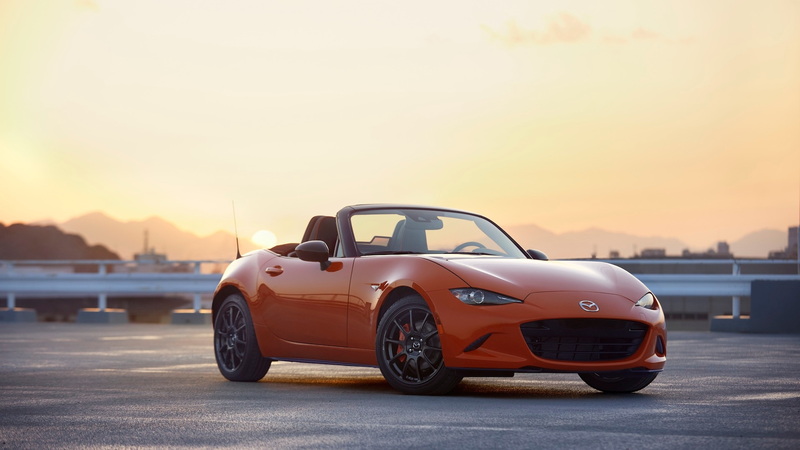 The debut took place on Thursday at the 2019 Chicago Auto Show, which was fitting considering it was at the same show back in 1989 that the original NA-generation was first shown to the world. The car became a roaring success as it channeled European roadsters that had tickled the fancies of sports car enthusiasts years prior. 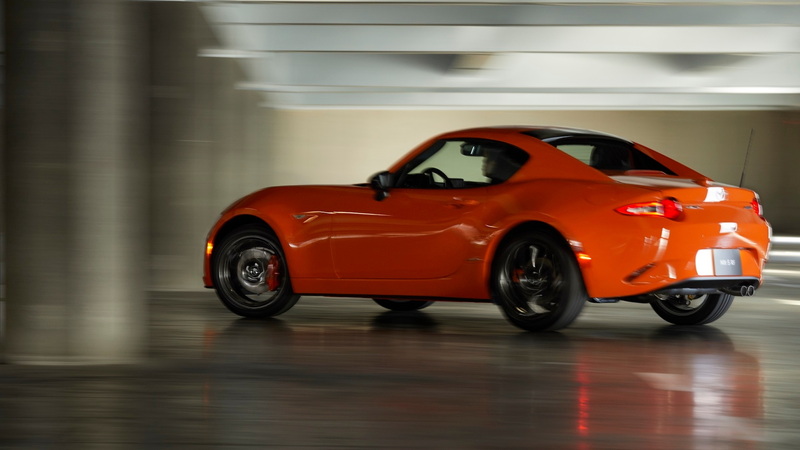 The difference was those cars were unreliable while the Miata carried rock-solid Japanese quality. 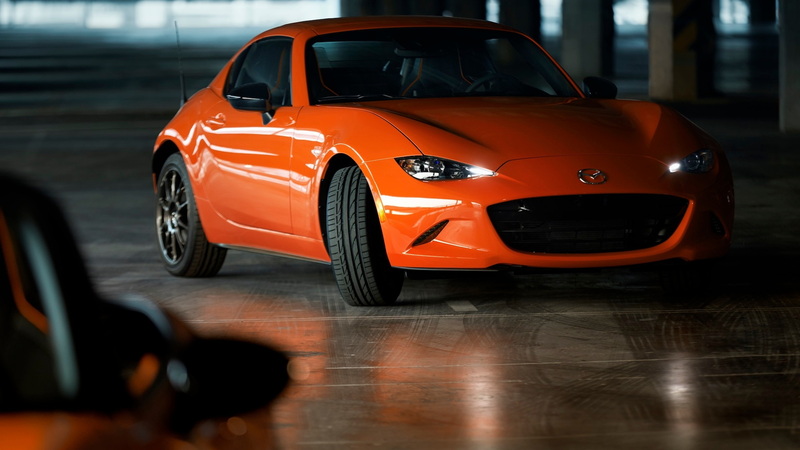 The 30th Anniversary Edition comes in a unique hue called Racing Orange, which recalls the orange MX-5 Miata Club Racer that was present at the 1989 debut of the original MX-5 Miata. Other special touches include a custom set of 17-inch forged wheels from Rays, Brembo brakes, and special badging. Inside, there are heated Recaro seats, orange accents (including piping), a 9-speaker Bose audio system, and Apple CarPlay and Android Auto smartphone integration. Power comes from the familiar 2.0-liter inline-4, which for 2019 saw its output bumped to 181 horsepower and 151 pound-feet of torque. Drive is to the rear wheel only and buyers can choose between a 6-speed manual or 6-speed automatic. With this car, you'll really want the manual. 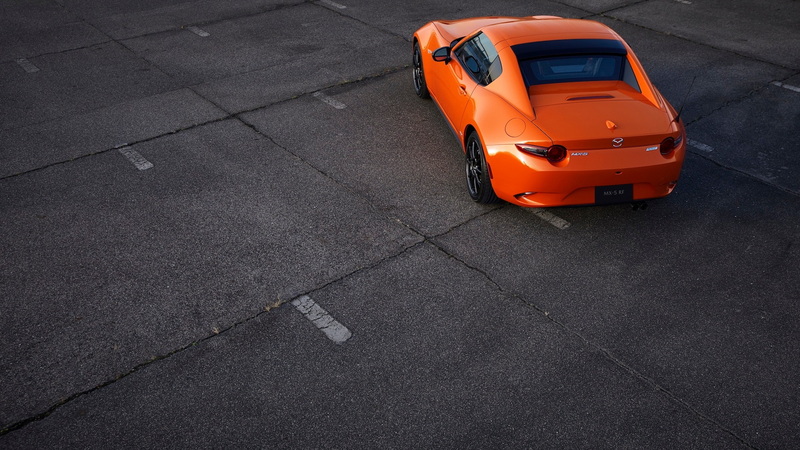 Not only because it fits the concept of the MX-5 Miata, but also because manual-equipped versions get specially tuned Bilstein dampers. Mazda will limit production to just 3,000 units worldwide, of which 500 will end up in the United States. The order books are now open and deliveries are expected to commence in the second half of the year. Pricing starts at $35,915, including destination. For more from the Chicago Auto Show, head to our dedicated hub.